Emergency officials warned people not to smoke in the street, warning of possible ruptured gas pipes. 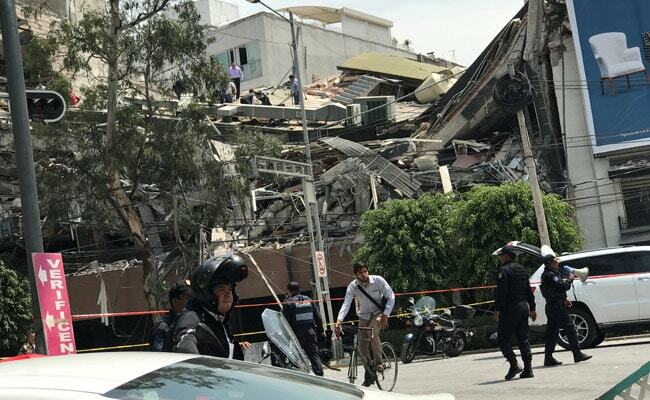 Mexico City, Mexico: The number of people killed in a devastating earthquake that struck Mexico City and nearby regions on Tuesday has risen to 138, the government said. The figure was a sharp jump over the 105 deaths previously given by the government disaster response agency CENAPRED. "A total of 138 people have sadly lost their lives," the director of the government's civil protection service, Luis Felipe Puente, told the Televisa television network. He said there were 36 deaths in Mexico City and the rest in regions just to the south and the west of it. Morelos state, directly south of the capital, suffered 64 deaths. Puebla, to the southeast, had 29 deaths. And nine people died in Mexico state, which lies just to the west of Mexico City.